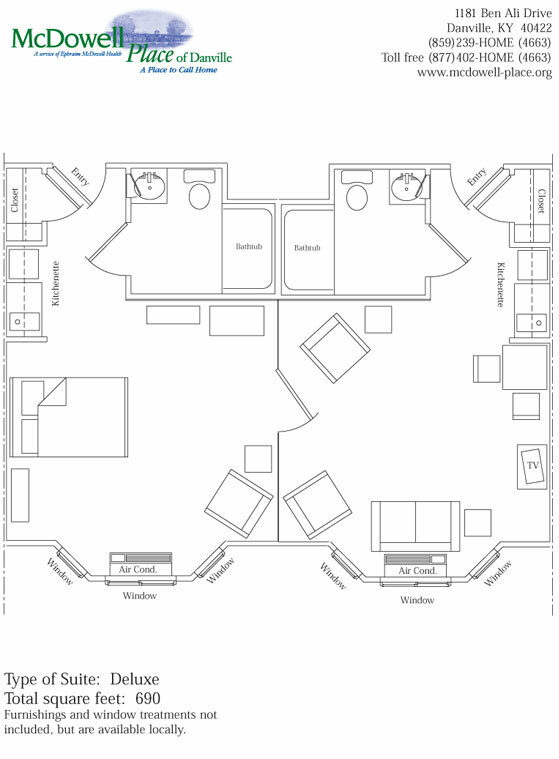 Our community features 98 apartments with 12 designated for personal care. The remaining apartments are for independent and assisted living. 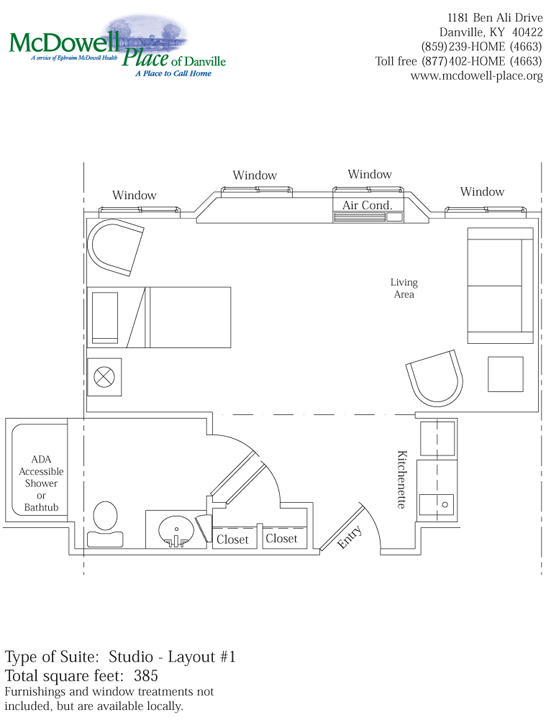 Our apartments are available in studio, deluxe and one- and two-bedroom units. 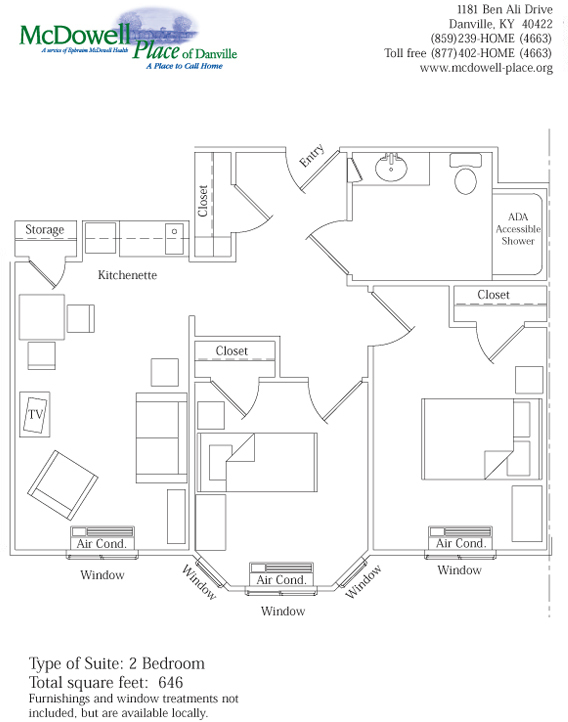 Each unit has an efficiency kitchen and bathroom. 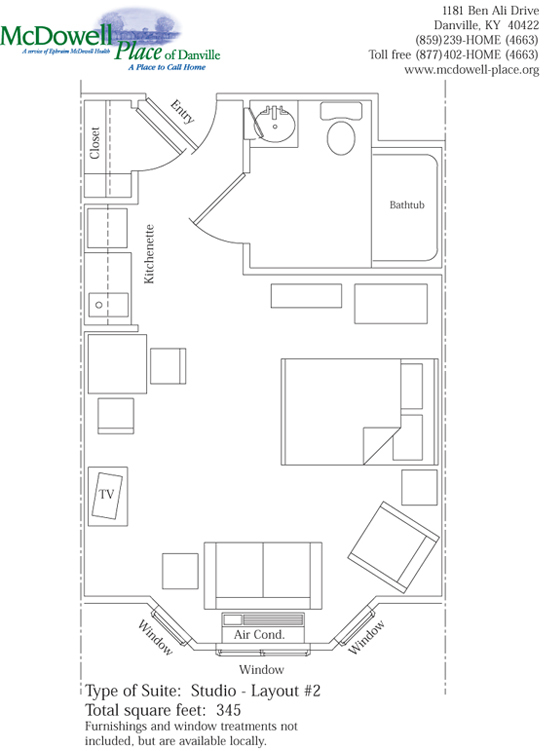 The deluxe and one- and two-bedroom units have separate living rooms. For increased affordability, apartments may be shared. 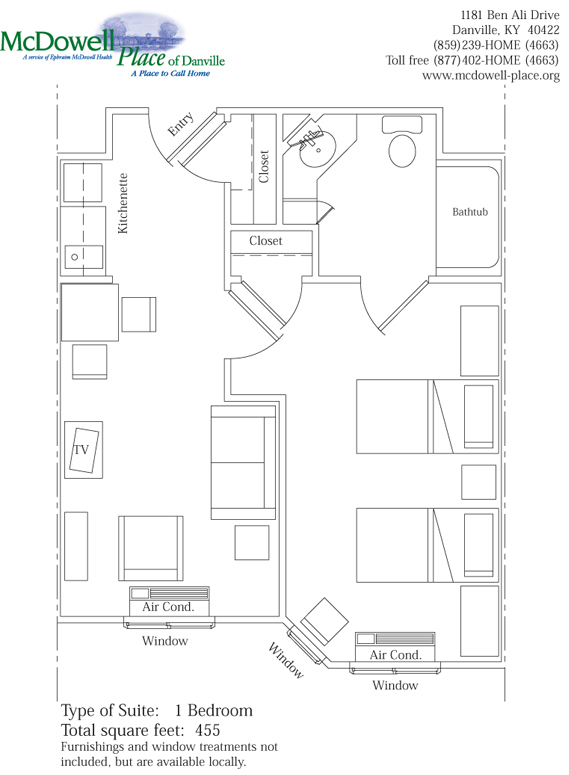 Please click on the floor plan images below to view the different residences and floor plans.